Surnames mentoned in The Genealogic chrestomathy of Russian noble familielis by V. Rummel, V. Golubtsov. All databases are in Russian and need cyrillic input of surnames. The list of surnames included in our databases is available here . The 26th issue of Genealogical Herald saw the light! We represent the edition of Russian Genealogical federation and Creative Association of Russian Genealogical Society. The new section is opened on our Portal. There we shall publish the articles about the methods of genealogical search in Russia (and within the borders of former Soviet Union). 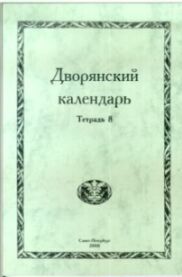 The first articles available are "A short introduction in Russian genealogy" and "Searching the nobles of former Great Principality of Lithuania". The 10th issue of Genealogical Herald saw the light! The Kuban State University, Polish National and Cultiral Center "JEDNOŚĆ" hold on 10-12 July 2002 the international conference "Poles in Russia in 17-20 centuries". For more information contact Alexander Selicki. Only on our site - Small Armorial of Kholopenichi nobility! The result of Dmitry Jackiewicz's, the Minsk historian and ancient documents authority, 13 years research. 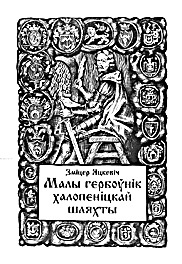 Unique, retreived from archieval documents and never published before information about origination and patriarchs of Central Belarus noble families provided with their Coat of Arms images. You can see the whole list of articles from this book. The Noble Calender (the referential book of Russian Nobility), kindly provided by VIRD Publishing. We are going to upload the 7-th and 8-th books completely. ęóáŕ ňóđű îň ňóđîďĺđŕňîđŕ Ýń Ŕé Ňóđń . Îôčńíűé řęŕô äë˙ áóěŕă ďîäđîáíĺĺ.